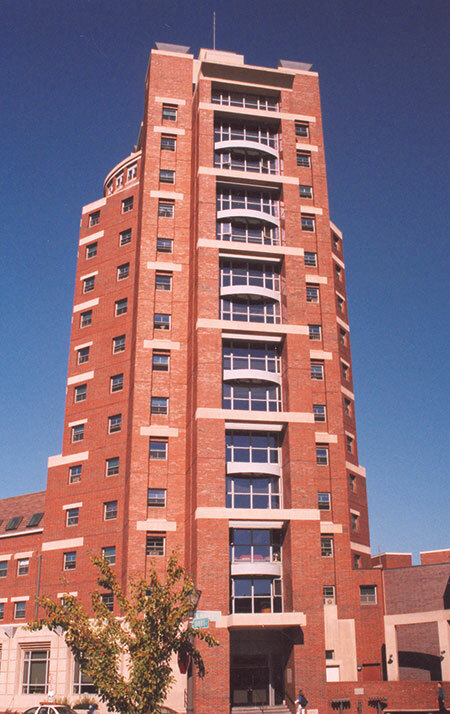 The Student Living Center was built in 1991, and provides housing for 350 students of the Eastman School of Music. The building consists of the fifteen-story Cominsky Tower and a four-story quadrangle surrounding a landscaped inner courtyard. Eastman first-years, sophomores, and juniors are required to live in the Student Living Center. 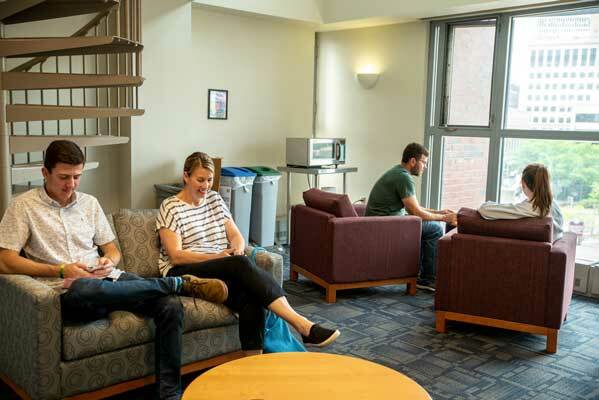 In addition to the fact that a majority of Eastman students live on-campus, the Student Living Center’s proximity to practice rooms, rehearsal spaces, restaurants, and museums makes it a wonderful place to live! 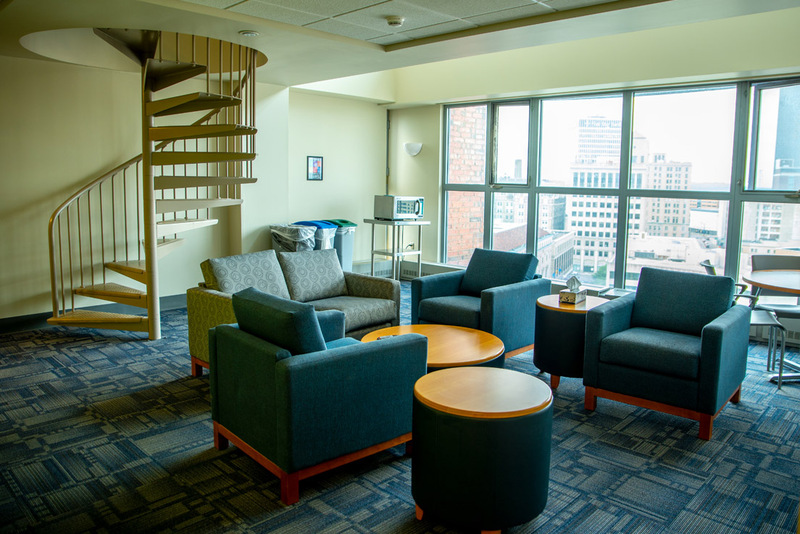 All members of the Eastman Community are welcome to use the first floor of the SLC for socializing, relaxing, and dining. Upper floors and the basement are restricted to Residents and their Guests.